V-SAT – V-SAT is a digitally enabled ‘Lecture Platform’ that enables instructors in using animation, video, audio and other presentation tools to ease out the learning process for students. It is a revolutionary benchmark in the history of education. We all are aware that a practical representation allows students to grasp things easily and that is what V-SAT delivers. Smart Class – Smart Class is reviving the traditional approach towards education. Being a partner of Educomp Solutions, Sangam School is able to offer India’s largest content library in the form of hi-definition audio visuals to students on several topics. Edu Sports – Our association with EduSports has empowered special sport syllabi for all our students. ‘Edusports – SOAR’ make use of physical activities in developing the mental and behavioral skills of the students while also making them physically active and competent. X SEED – It is a flagship program offering comprehensive teaching solutions and quality learning to students. We have partnered with X SEED for grades LGG to II. SAT –The first in Rajasthan, SAT exam center for all the 2,200 Four Year Colleges and 1,700 two year colleges of United States including the ivy league, was set at Sangam School of Excellence which now is now administering examinations for the past two years and remains open on all 6 dates throughout the year . 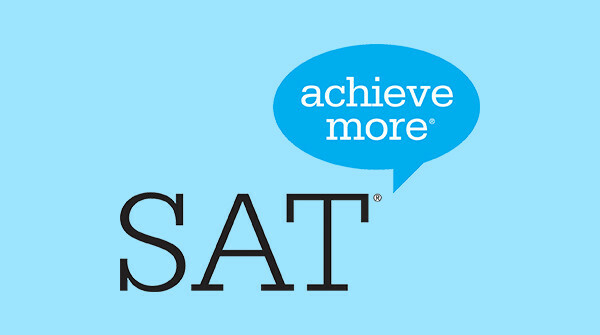 It is an international standard practice to take the Pre SAT Exams or NMSQT before the students actually take the main SAT and we have been offering the PSAT and NMSQT exams since July 2013. Remedial And Prep Classes – Not every student learn at the same pace and we definitely do not ignore the fact. Our remedial classes have been designed for students who are facing difficulty in understanding any topic in any subject. Here, the students can share their problems openly and clarify all their doubts. Transport – The need for safe passage of each child to school and back home is of paramount importance to us. To ensure safe travel, the school has its own fleet of school buses designed as per standards and manned by trained drivers and personnel sensitized to the needs of small children. For supervision and monitoring a transport attendant is on board throughout the journey. Mobile phones have been provided in each bus that ensures efficiency in terms of service and better communication in case of emergencies. Besides ensuring the implementation of the safety norms, all staff on the bus is well trained in first aid and emergency management. The school bus facility available to the student cannot be expected or demanded as a matter of right. The Transport Department at their own discretion, has the right to disallow any student from availing the bus facility. Students availing the bus facility will be provided with a bus number, pick up and alighting stop number. Generally, the bus timings will operate within 10 to 15 minutes of the pickup and alighting time. Parents are requested to accommodate the same. The school has taken utmost care for the safety and convenience of the students. Any suggestion/ complaint regarding the transport service is to be made in writing strictly to the Transport Department and the same shall be entertained by the Transport Department only. No child will be handed over to an unknown person/ to anyone without the parent I-card, which must be produced at the time of pick up.